Here comes the upgrade to the Micromax Bharat 5 smartphone with just a few months interval. The Micromax Bharat 5 Plus is still an entry level smartphone but have some slight improvements in comparison with its predecessor. Interestingly, the smartphone e retains the large battery capacity seen in its predecessor which is a good thing. Let’s take a look at how much of an upgrade we have here. Besides being a low budget smartphone, the Bharat series have not really offered much in terms of design so far which is expected considering the price tag. The Micromax Bharat 5 Plus follows suite in this trend as it comes with a pretty genetic smartphone look. Featuring a plastic build. The phone has heavy bezels especially above and below the screen. Things are left as they were with the display on the Micromax Bharat 5 Plus smartphone. In this regard, there is a 5.2-inch 1280 x 720 pixels display with a 282 ppi pixel density. Much like its predecessor, the Micromax Bharat 5 Plus packs quite a giant battery and combined with the low specs it should last longer. The smartphone features a 5, 000 mAh non removable Li-Po battery with no quick charge. A slight improvement on the primary camera has been made for taking better pictures as well as some additional features. Rather than the 5MP featured in the former, there’s now an 8MP rear camera. While things remains the same on the front side with a 5MP camera. The Micromax Bharat 5 Plus has a Quad-core MediaTek MT6737 processor same as before along with a Mali-T720 MP2 for rendering graphics. This is a low level SoC in all ramification, which means performance is going to be along the same line. However, there is a bump in RAM size from 1GB to 2GB on the Micromax Bharat 5 Plus which means more multitasking capability and more room to install apps. Same as before, you get to experience Android 7.0 Nougat from the box. 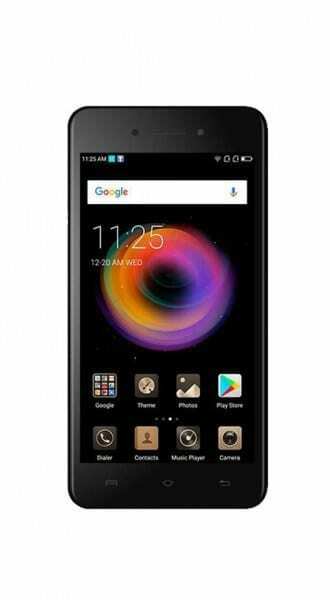 Micromax Bharat 5 Plus is available in various online stores for about 33, 000 Naira to 37, 000 Naira depending on your location and the deal.